Kraskovsky, Ivan [Красковський, Іван; Kraskovs'kyj], b 6 August 1882 in Bielsk Podlaski county, Hrodna gubernia, d ? Political figure of Ukrainian-Belarusian background. He studied at Warsaw University. During the First World War he was a representative of the All-Russian Union of Cities in Galicia. 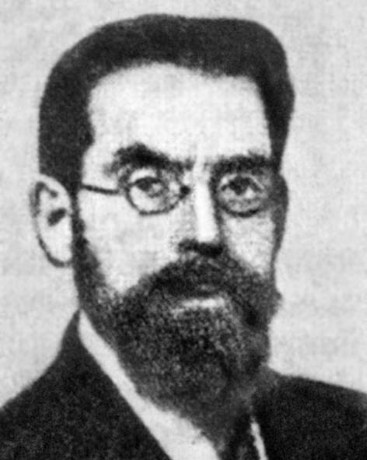 A member of the Ukrainian Party of Socialists-Federalists, in 1917 he was a gubernial commissioner of the Russian Provisional Government in the Ternopil region. In January 1918 he became a deputy minister under the Ukrainian National Republic prime minister, Volodymyr Vynnychenko. During the Hetman government he was a member of the Council of the Ministry of Foreign Affairs, then the representative of the UNR in Georgia and Kuban. In 1920 he moved to Belarus and became a lecturer at the State University in Minsk. He was arrested in the 1930s and his fate is unknown.